This Is The Information You Need To Help You Evaluate My Qualifications To Help You Improve Your Health, Treat Your Pain And Heal Your Injuries! I graduated in 2002, all A(s) with a Master’s degree from a four year NCCAOM accredited program in all aspects of Traditional Chinese Medicine (Oriental Medicine) from one of the best schools in the country, the East West College of Natural Medicine to become an Oriental Medicine Doctor (OMD) and a Licensed Acupuncture Physician (L'AP). Not only did my studies include all areas of Traditional Chinese Medicine or Oriental medicine (as many now call it) and acupuncture, but I also mastered training and education in many aspects of Western scientific and medical education including: Western Anatomy and Physiology, Western Pathology, Western Bio-Medical Terminology, Orthopedic Evaluation and Terminology, Clinical Nutrition, Radiology and Terminology, Lab Tests and Terminology, Basic Western Diagnostic Skills, and Western Pharmacology. This built on my years of training and experience as a Medical Disability Examiner for Social Security. I successfully completed more than 2700 hours of class study, four times that number of hours of outside study and 710 hours of hands on clinical experience treating over 300 different patients with all kinds of serious health conditions in that school clinical setting, before becoming licensed. For over 30 years since being a Medical Disability Examiner in 1973 I have been providing healing services. Why I Became A Doctor of Oriental Medicine! My exploration of herbs began many, many years ago when I was looking at options to lower my blood pressure. It was because of a desire to improve my own heath that I came across a book on herbs and was fascinated. The herb that worked to lower my blood pressure was garlic. I continued my study of herbs from that point (both in a formal degree program and informally thousands of hours) and use them for my own and others health maintenance and restoration. Herbs are one of God's greatest gifts to humanity...even animals seek out the healing benefits of plants. With my background and training in Western Medicine as a Medical Disability Examiner who knew nothing about Acupuncture and TCM or Oriental Medicine...I knew I was screwed there was only pain medication or surgery for relief. Thank God an acquaintance told me about acupuncture and recommended that I try it because it had worked for her and completely healed her low back and the pain from it. I did find an acupuncturist and with somewhere around 10 plus or minus a couple of treatments and I was totally pain free. I was so impressed that I decided to go to school for 4 years at the age of 49 for an NCCAOM accredited program in Acupuncture and Oriental Medicine. This was the best decision I have ever made. Prior to becoming a Doctor of Oriental Medicine and opening my private practice, I earned a Bachelor’s degree (BA) in psychology from Florida State University at Tallahassee, FL in 1973 with practical experience as a Crisis Intervention Counselor at the college suicide hot-line prevention center. This experience enabled me early on to establish great rapport with my patients no matter what their problems are. Upon graduation I was employed as a Medical Disability Examiner for the Social Security Disability program and received extensive training in what we call Western or Allopathic Medicine. During this period I made determinations of disability for applicants for the Social Security Disability Program. So, for 40 years I have been involved in Medicine and health care. In 1978 I earned an MBA from FSU graduating 2nd in my class, Beta Gamma Sigma. They asked me to stay on at the University to earn a Doctorate Degree...I declined citing my desire to have more real world business experience before even considering a Doctorate degree in business. After graduation I worked as a defense contract negotiator and manager for such Fortune 100 companies and Martin Marietta, Northrop, Litton, and Loral. I personally increased Progress Payments to Northrop by $1 Million dollars a month. As you can see my life has been rich and varied, not because I was a failure at these things, they just weren’t what I was supposed to do and didn’t feel right. Since I opened my own practice in 2002, I have spent thousands of hours in advanced studies of Chinese individual herbs and complex herbal formulas, as well as advanced studies on alternative styles of acupuncture from what I learned in school and their diagnostic skills and point prescription formulation and needling skills. In 2002 I received training in Electro-Dermal-Screening and have often used EDS testing in my practice. Electro-Dermal-Screening is also known as Electro-Meridian Imaging or EMI. In my first year in practice I developed my revolutionary Somato-Spiritual-Emotional Technique (SSET)tm for healing depression and PTSD as well as the emotional components that can prevent healing from happening. In 2004 I received extensive education and training in the treatment of auto-immune disorders, lab test result interpretation. In 2006...2007 I received extensive training in Acupuncture/Acupressure Face Lift and Facial Rejuvenation from Dr. Zee Lo one of the foremost and most successful facial rejuvenation-acupuncture and acupuncture face lift practitioners in the country. I also trained in Tai Chi and Qi Gong. 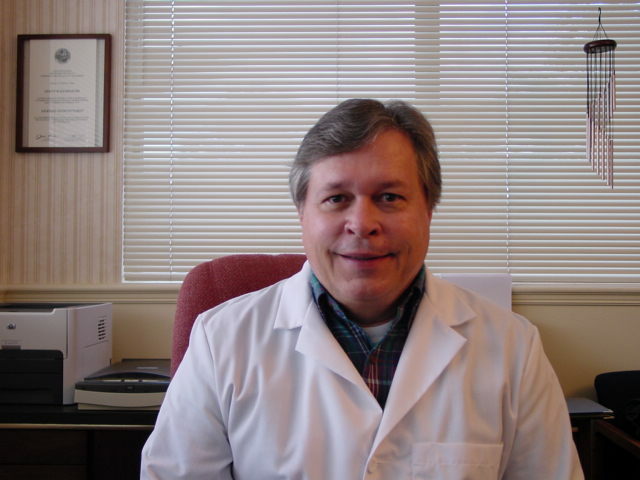 In 2009 I received comprehensive Training in Iridology from a Traditional Chinese Medicine perspective from the foremost practitioner in the US Robert Teng Fang Wu, L.Ac. Beginning in 2010 and to this day, I am studying with students of a special teacher< Master Tung of Taiwan, and learning his astonishingly effective acupuncture treatment methods. These treatment methods work 10 times better than what "so-called Chinese Acupuncture" even performed by a Chinese person trained in China for not only pain issues but for many, many other health problems like HBP, Insomnia, anxiety, depression, most women's and men's health issues, even COPD and Emphysema and other breathing problems. Master Tung was a native of Taiwan and was General Chiang Kai-shek's personal physician. Master Tung came from an acupuncture family who passed down these diagnostic methods and acupuncture techniques from one generation to the next far back into history. Almost every practitioner of Acupuncture around the world has been erroneously trained to use the herbal diagnostic and treatment protocols for acupuncture diagnosis and treatment. The diagnostic and treatment protocols for herbal healing are brilliant and work amazingly well for diagnosis and treatment with herbs. Using the herbal diagnostic and acupuncture treatment protocols derived from it, doesn't work so well for Acupuncture diagnosis and treatment. On the other hand, when you use diagnosis and treatment principles that are appropriate for acupuncture, the results with acupuncture are positively amazing. According to my teacher the results I am getting on a consistent basis with my patients places me in the top 1 to 5% of all Acupuncturists in the world. That is because I am now able to help almost every person who comes to me no matter what the problem. As part of my other continuing education studies I received training and certificates on infectious diseases including AIDS, Lab test result interpretation, diagnostic test interpretation and evaluations, Qi-Gong and Tai Chi and much more. In 2011 I added to my formal education advanced educational training in Chronic Fatigue Syndrome...its many causes and effective treatments, and the effective treatment of menopause and other women's health issues with acupuncture and natural herbal remedies and medicines. In addition, I had advanced training in Korean Hand Therapy Acupuncture treatment for a host of problems including pain in various parts of the body. I love what I do. I have a passion for healing. Why not let me help you with your health issues? After all that is why I became an Acupuncture Physician and Doctor of Oriental Medicine....to help you. Please call (941) 926-4711 For your free 20 minute phone consultation or to schedule an appointment. Appointments can be conducted over the phone. If You Don't Live In My Area But Would Like My Help, Please Click On The Link Below. Please click here to return to the top of Glenn Eichenauer About Me page. Click Here to learn how you can have a Holistic Doctor Consultation with me. Click here to return to go to or return to My Home Page Holistic Medicine Works! Click here to go to My Acupuncture Clinic Page.